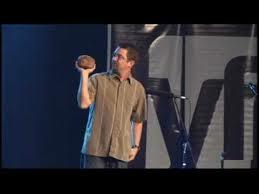 Matt Miles and a rock. Matt and Theresa Miles are missionaries affiliated with the Church’s Youth. They are also affiliated with Creation Truth Foundation, an Oklahoma creationist group trying as best they can to prevent kids from being brainwashed with facts, truth, reason and evidence. Matt is the CTF ministry’s Student Worldview Director, in the group’s “in-house program called SWAT (Student Worldview Advanced Training),” where he has apparently developed a program in “Biblical Astronomy”, which has much to do with Bible and preciously little to do with astronomy as a scientific discipline. Miles has no qualifications related to astronomy. Miles and his group received some attention when they were invited to speak at several events on school property, including public gatherings in the evenings and assemblies during the day, in the 1,100-student Hugoton school district in Kansas. Miles said that creationism would be discussed only during events conducted outside the school day; during the school assemblies, students would be shown pictures and fossils. “We’re going to come in and talk about dinosaurs, so nothing Biblical,” said Miles. Right. Though the ACLU was understandably unimpressed, school district Superintendent Mark Crawford wouldn’t buckle: “I agree with the ACLU, in that, if a mandatory all-school assembly where creationist truths or creationist beliefs were expressed, that would be inappropriate public-school content, and that is not the case,” said Crawford. One might wonder why Crawford would want a creationist missionary and minister with no background in anything remotely relevant to paleontology to come and speak about dinosaurs rather than, you know, a real paleontologist. Perhaps that has something to do with the “creationist truths” formulation in the above quote? Diagnosis: Mark Crawford is completely unfit for a job remotely related to education, but some places and people apparently don’t care as long as he adheres to the right religious dogmas. Miles, on the other hand, is your typical creationist ultracrepidarian: outreach is everything, and you gotta get ‘em early, since if they know too much it’ll be much harder to make them firm and dogmatic denialists.